Innovation is the engine of development and as Sub-Saharan Africa attempts to leapfrog into faster sustainable growth, its capacity to innovate will be key to its success. 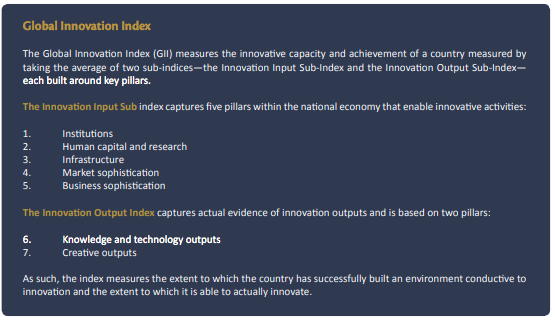 In the last edition of the Global Innovation Index released in June 2017, 80% of the bottom 20 countries were from Sub-Saharan Africa and only 32% of the SSA countries listed made it within the top 100. Yet, these poor results hide dynamics and trends suggesting that many Sub-Saharan African countries are actually outperforming innovators given their level of development. There are several innovation clusters throughout the Sub-Saharan region that should be attracting more attention and that are certainly deserving of more positive news stories. In the Information and Communication Technology (ICT) cluster cities such as Lagos (Nigeria), Nairobi (Kenya), and Kigali (Rwanda) have shown huge advances. Following in the footsteps of Kenya’s game-changing M-Pesa, Nigeria is looking to develop their own successful mobile financial services (currently Nigeria primarily operates via Interswitch, an infrastructure gateway that operates through the Nigerian Interbank Settlement System (NIBSS)). Rwanda’s answer to a mobile money service runs through MTN. Similar to M-Pesa, MTN is looking to serve as an access point for people to access their financial services through the touch of a button and is proving successful with year on year growth. In healthcare too, a key pillar of the Global Innovation Index, Africa is making gains. Johannesburg professors were behind the development of Smart Spot Quality, a tuberculosis testing instrument. Not only was a powerful innovation in its field, but also in the healthcare system in helping to detect TB symptoms. Similarly, scientists at the University of Cape Town’s Drug Discovery and Development Centre (H3D) identified a new anti-malaria compound in 2016. Creating incentives for private sector funding through venture capital. I have always believed Africa is the home to some of the greatest innovation in the world. Now we need to capitalise on that great innovation and find ways to sustain and encourage it, if the continent is to become a true global exporter of knowledge in the decades to come.